Please allow me to introduce myself. 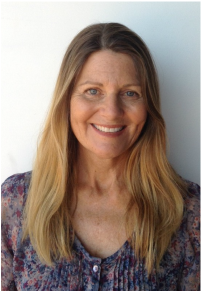 My name is Catherine Brooks and I am the founder and director of Good Therapy San Diego. I am a Board Licensed Clinical Social Worker. I received a Bachelor of Arts Degree in Psychology and a Masters in Social Work with specialized focus on children, youth and family. In addition, I am a certified Phoenix Rising Yoga Therapist and I am an Advanced Trained Gottman Couple's Therapist. Due to the vast knowledge I have gained working within the behavioral health field, I am fully aware of the complex nature of all Axis I, Axis II and co-occurring disorders. I have vast experience within the geriatric community and I continue to treat this population. I led a partial hospitalization program treating adult and geriatric patients who suffered with symptoms such as Depression, Anxiety, Grief, Chronic illness, substance abuse, eating disorders and many more. In addition, from my work with the Department of Children and Family Services, I have extensive experience in treating abused children and families in crisis. I earned a prestigious scholarship from the Inter-university Consortium Program for a one year paid internship with focus on intensive training in cultural diversity (including LGBT community), family dynamics, child abuse, substance abuse, chronic illness/ grief, and domestic violence. I Worked collaboratively with LAPD stabilizing hectic environments, investigating crime/ abuse, and protecting at-risk children in immediate danger. I preformed crisis intervention with both parents and children, conducted risk and safety assessment of home, parents and environment, and managed custody disputes and child alienation cases. 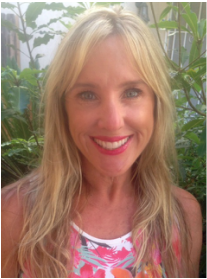 My name is Camille Carter, I am a California Licensed Marriage and Family Therapist and mother of two. I have had the privilege of living and providing counseling services in San Diego for the last twenty years. During this time, I have had the honor of working in a variety of counseling environments including residential homes, private and public schools, hospitals, foster family settings, mental health agencies and private practice. Throughout this time, I have enjoyed working with a number of diverse populations including children, teens, young adults, individuals, couples, families, other mental health professionals, teachers and administrators. My training at San Diego State University was multicultural and Family-Systems based. As I have continued to learn and grow as a therapist, I have found myself drawn to a number of theoretical perspectives including Narrative Therapy, Cognitive Behavioral Therapy and Humanistic Psychology. I believe every individual, couple and family that I encounter will benefit from a variety of counseling techniques and interventions. I choose to base our treatment on the needs of my clients and not on one specific type of therapy. I have a Bachelor of Arts Degree from San Diego State in Psychology and Master of Science Degree in Counseling/ Marriage and Family Therapy. I specialize in helping adults manage: Anxiety/ Stress, Depression, Family Transitions, Loss/ Grief, Communication Issues, and Conflict. My specialties in treating children/ teens/ tweens include: Self-esteem/ Self-image, Social Skills, Goal Setting, Controlling Impulses, Sadness/ Fear, and Life Skills. I look forward to helping you! My belief in the transformative power of kindness has guided my career as a therapist. I have found that through the practice of kindness, we come to realize that our lives matter, not only to ourselves, but to our relationships, and to the wider world. So many of us get so lost in the work of life, in trauma and in pain that we get lost in the space between knowing what is right ‘to do’ and being truly able to do the right thing for ourselves. I am a Board Certified Marriage and Family Therapist. I studied psychology at Mount Holyoke College and have a Masters in Counseling Psychology with additional studies in Art Therapy. In my work I have helped many teens, adults and families arrive at the place where they can learn what it is they truly need to live a good life- their own unique, beautiful life- one that is not mired in self- defeating behaviors and unhealthy relationships. My work in residential treatment with women from the prison setting and the LGBTQ population, gives me a strong background, not only in helping people overcome addictions, depression and anxiety, but with body image, life planning, grief / loss and relationships. I specialize in helping families in crisis as they learn to cope with a loved one’s mental health challenges. My years of providing therapy in the school system with at-risk children, teens and families has me well versed in helping the family system face the challenges of parenting, including ADHD, blended families and the teen years. In addition, I am privileged to have had training as a Gottman Couples Therapist. Gottman Couples Therapy is the only evidence-based couples therapy. During treatment with me you will learn applicable skills that de-escalate conflict, improve your intimacy and friendship, strengthen commitment and trust, and create shared meaning in your life. I love helping couples find their way again. Please let me know how I can help you! Hello my name is Jean Rothman. I am a licensed Marriage and Family Therapist who is passionate about helping adults and children who are suffering from depression and anxiety. I am also interested in helping those who love them, because depression and anxiety can take a toll on family members, as well as those who are depressed or anxious. In addition, I enjoy working with couples interested in strengthening their relationship. My goal in couples work is to make it easier for clients to create relationships that nurture both of them, and that are joyful, healthy, and harmonious. In addition, I have been trained in Gottman Couples Therapy, which is the only evidence/based therapy for work with couples. divorce, illness, death, and even joyful times such as marriage or the birth of a baby. Other specialty interests in which I have experience include: Preschoolers with Behavioral Challenges, Adults with ADHD, Mindfulness and Stress Reduction, and Handling the “Inner Critic.” I have background in multiple religions and I am open to working with anyone who is interested in bringing a spiritual perspective to their experience of life. I use a variety of modalities for therapy including Cognitive Behavioral Therapy (CBT), Solution-Focused Therapy, Family Systems Theory, Humanistic Psychology and Psychodynamic. My personal goal is to assist clients —whether individuals, couples or families — in finding more happiness, living more fully, achieving balance, and creating positive changes for mental and emotional well-being. I received my Masters in Marriage and Family Therapy from Alliant International University, California School of Professional Psychology. Not only do I have clinical experience in working with all ages, but I also have a lifetime of experience as a woman, wife, mother, daughter, sister, aunt and friend, which I believe has greatly contributed to my ability to listen and to understand other people going through their own challenges in life. I consider it an honor to be entrusted with the job of being a therapist and I look forward to meeting you. ​It takes a great deal of strength and courage to reach out when you are struggling. Humans have the capacity to create great change and find true peace within. As a therapist, I have the honor of joining you on your incredible journey to create the life you have envisioned. I use a collaborative approach to psychotherapy and will support you in developing insight, self-awareness, and ultimately creating a balance between mind, body, and spirit. 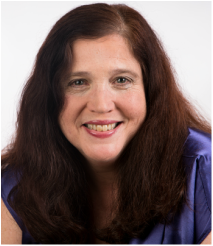 Hello, my name is Caroline Maehler and I am a Board Licensed Marriage and Family Therapist and an Expert Level Certified Life Coach. I have significant experience in the treatment of eating disorders and co-occuring disorders. I am aware of the extreme pressures in our society to fit into a specific mold and I am passionate about helping adolescents and adults gain self-esteem and establish a healthier relationship with food and their bodies. Additionally, I have a wealth of knowledge in treating individuals and families struggling with a number of life challenges including life transitions, anxiety, depression, and relationship issues. I adapt my style and techniques to effectively communicate to individual needs and personalities. As a therapist, I am privileged to form deep, therapeutic relationships with my clients and believe this is one of the greatest agents of change. Therapy from Alliant International University. My education and my innate desire to help people has guided me in a career to help individuals and families create change that leads to more fulfilling and healthier lives. I genuinely believe that this work is not only my passion, but my calling. We can all benefit from guidance throughout difficult times. I will be with you throughout your process as you learn about yourself and make steps towards accomplishing your goals. We will collaboratively work towards expanding your abilities, pushing through your comfort zone, and finding inspiration to grow and create your best life. I’m a Board Licensed Clinical Social Worker. I have my Bachelor of Art degree in Psychology and my Masters in Social Work from Portland State. My years of experience in outpatient therapy settings extend to families, couples, individuals, children, and teens. My work has focused on symptoms of grief, anxiety, depression, and adjustment issues. I have also helped with stress, decision-making skills, impulse control, and communication skills. In addition, I have led an Intensive Outpatient Program treating teens at-risk for out-of-home placements due to symptoms of personality disorders, crisis and safety issues, suicidal ideations / attempts, chronic abuse and trauma histories. I am Level 3 trained under John and Julie Gottman in the Gottman Couples Therapy Method. This evidence-based research and treatment method allows me to assist couples in creating more fulfilling and healthy relationships. In your process we will uncover conflict management skills, tackle unsolvable problems, deepen your friendship and intimacy, and discover the meaning of your relationship. When we strive for growth, we inspire and empower others. When we take care of ourselves, we are more able to take care of others. With self-acceptance and love, we are able to truly love others. It starts with us, extends to our loved ones, and reaches out to our communities- making the world a more positive, happy, and healthy place to be. I look forward to working with you! My name is Crystal Duncan, I am a Board Certified Licensed Clinical Social Worker in the state of California. I received a Bachelor of Arts Degree in Psychology from Biola University and a Masters in Social Work from Hawaii Pacific University. My training and experience has been very diverse which has given me the opportunity to develop a broad range of therapeutic skills. I have worked with people who suffer from severe mental illness, Eating Disorders, Trauma, LGBT, anxiety, depression, and many other mental health issues.I have worked in a residential treatment center treating eating disorders, a non profit community mental health agency, a hospital, a clinic treating HIV/AIDS, and a private practice. I am non judgmental in my approach to therapy and I strive to provide a space for healing. I believe that healing happens most effectively though creating an authentic connection with my Clients. I am confident and experienced in effectively working with Adults, couples, teens, and or adolescents. I truly believe that everyone has the capacity within themselves to live a life free of suffering . Through fostering a genuine therapeutic connection Clients are able to build resilience, and gain tools to help them live a more peaceful and hopeful quality of life. I specialize in treating trauma, depression, self esteem, relationship conflicts, and quality of life issues. I feel honored to be able to help others and I truly believe in the healing power of therapy for the mind, body, and spirit.